In this series we have been looking at the first stanza of the hymn, Trust and Obey by John Henry Sammis as part of our mini-series “Maintaining a Healthy Fear of God” In previous posts we have looked at God’s good will, His original plan of His eternal purpose Ultimately being, PLAN A – The Glory of God – We saw that it is safe to say that His good will, His eternal purpose, is a plan to ultimately, bring us to His Glory, with provision made for perceived blunders we will make along the way –The Gospel of Christ Jesus. 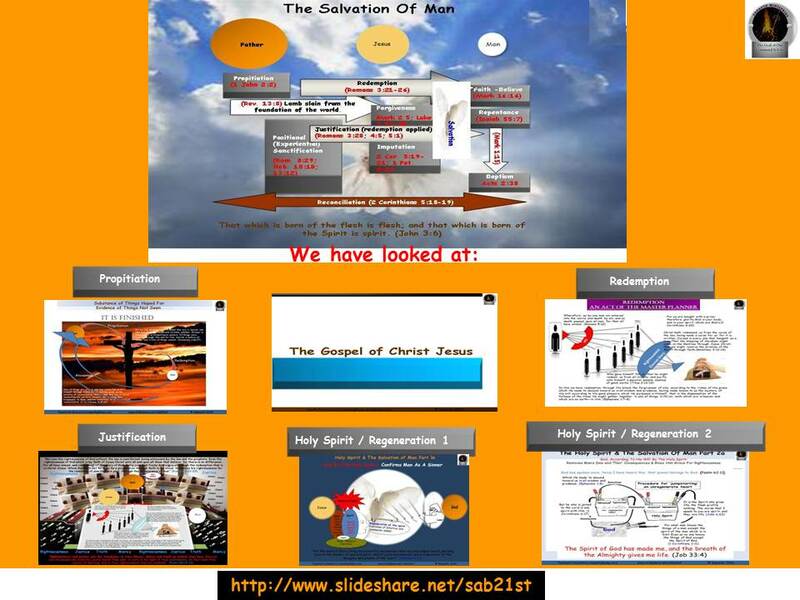 We then started on this Journey of Regeneration– God’s Provisions & Man’s Acts. 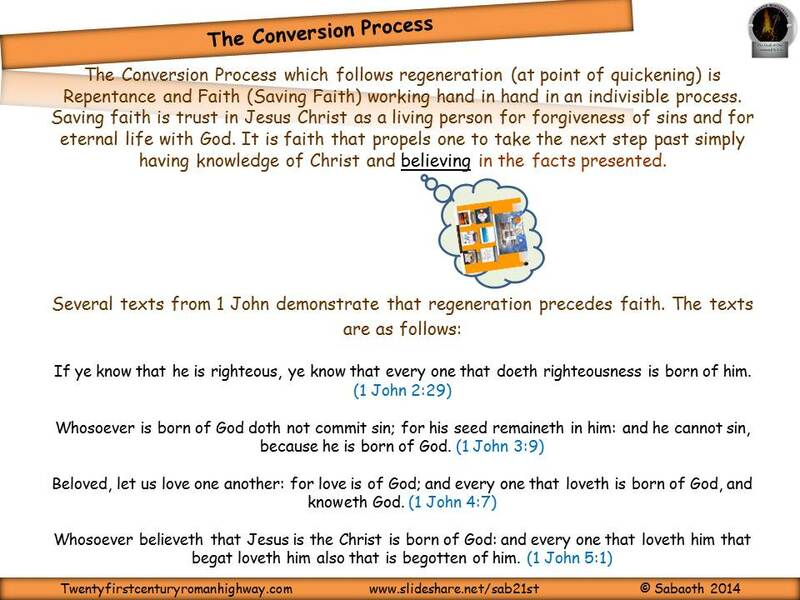 We then looked at Propitiation – It Is Finished; before that, Redemption then Justification as part of God’s Regeneration of man. We then stopped to have a look at the work of the Holy Spirit in this eternal purpose of God especially the work of the Holy Spirit in the salvation of man. 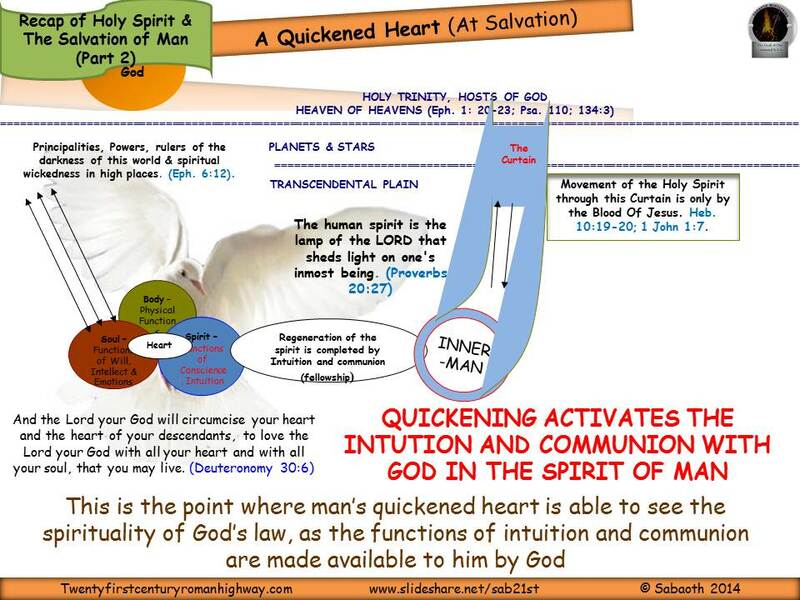 We looked at this from the perspective of the specific activities of the Holy Spirit in the salvation of man – His activities in the eternal Purpose of God and His in bringing life to man’s deadened conscience through quickening of the human spirit. 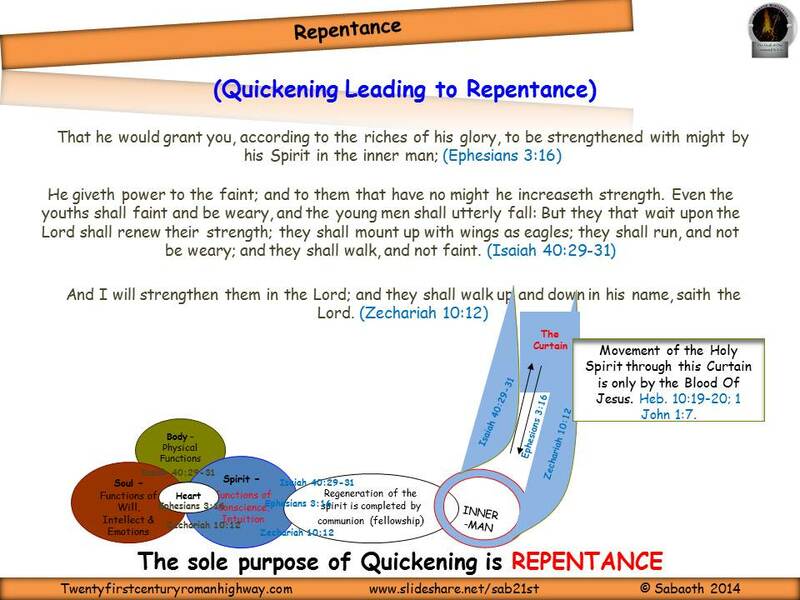 Part 1 – Confirms Man As A Sinner The Components of Man (Body, Soul & Spirit); Heart of Man; SELF & The Heart of Man; Conviction in unregenerate Man; What is the law? 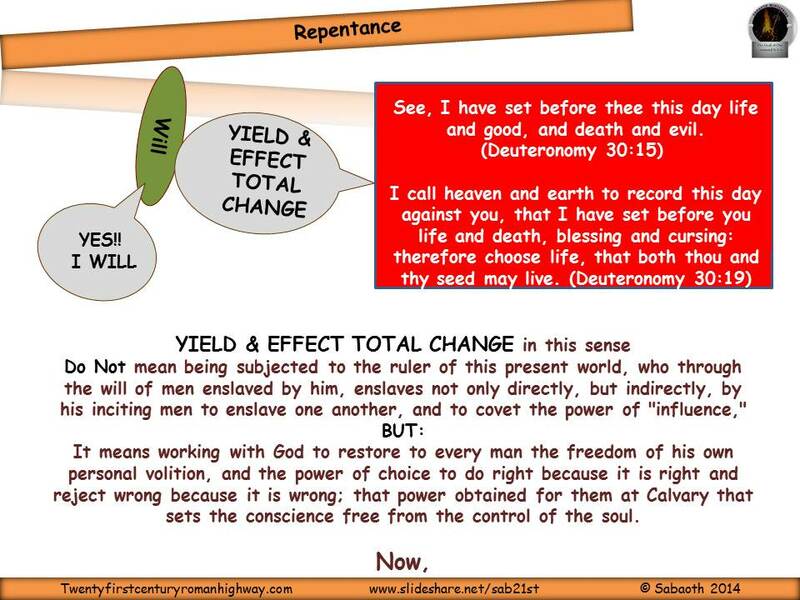 (At Salvation); The law & Grace? The fact that one has even been able to read or hear about God’s plan of salvation does not in mean itself that the person is converted. In fact, Familiarity Breeds Contempt!!! 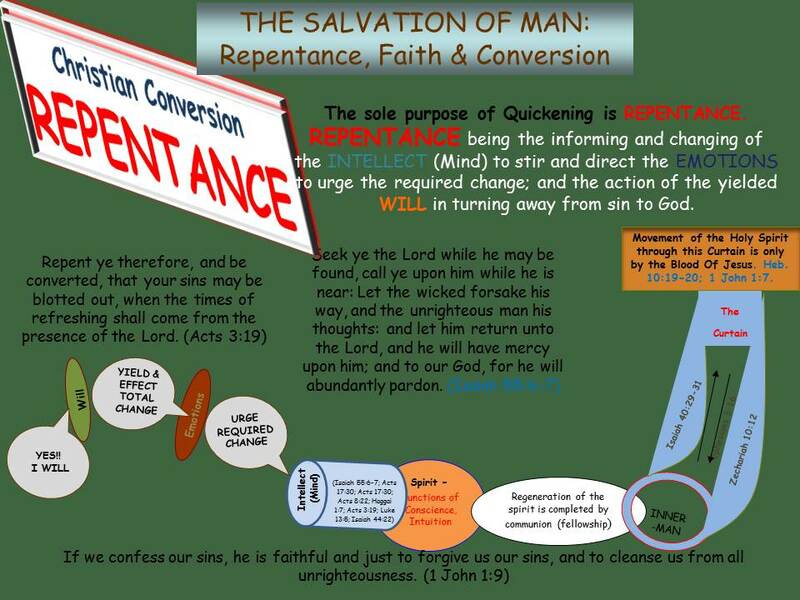 IF YOU believe IN Jesus AND repentant OF YOUR SINS THEN you are saved. Believe in Jesus Christ: To be the son of God; died and rose up again, and that His finished work on the Cross is more than enough to set you free. 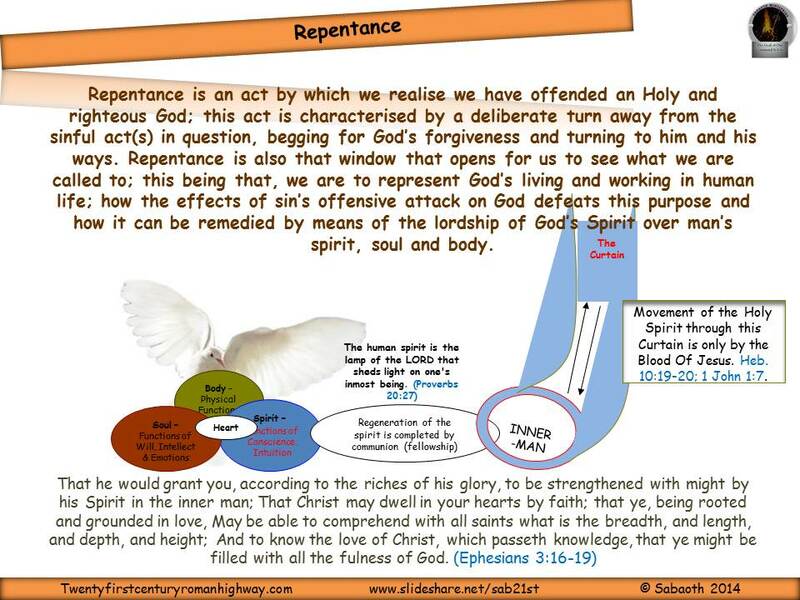 To Repent means: Being sincerely sorry for your sins and bringing them before God (between you and Him); with the aim of not going back to them. Have you ever found yourself asking: Am I Now A Christian? Saved????? Is Jesus really now in my life????? If I die now, I don’t even know if I will end up in heaven or hell????? If you were to die today, are you absolutely sure beyond a shadow of doubt that you would go to heaven? 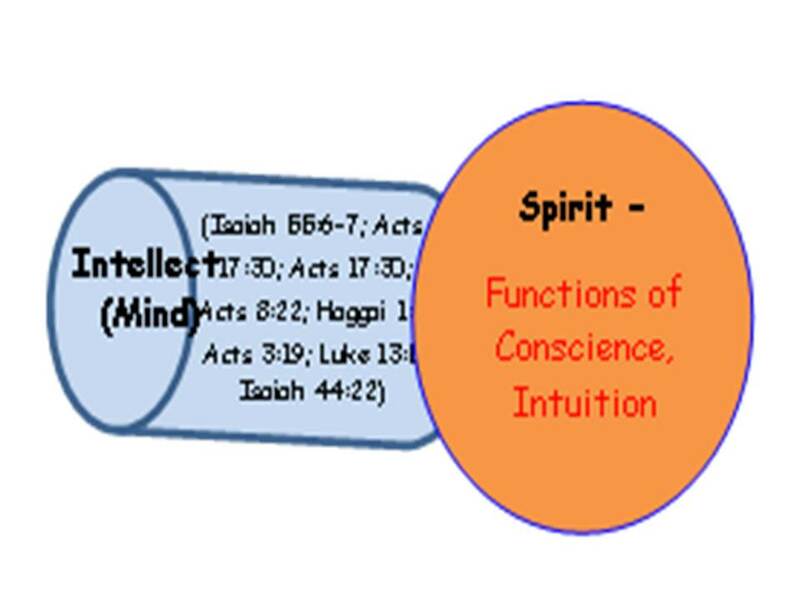 The soul being saved should reflect the purity of the heart; meaning that the effect of the functions of a liberated conscience, intuition and communion with God is demonstrated by the assurance (the confirmation, the title deed) of our righteousness and sanctification and redemption (that we cannot physically see) and the conviction of the reality (perceiving as real what is not revealed to the senses) of this fact being made real to us by our seeing ourselves hidden in Christ Jesus who became for us wisdom from God. 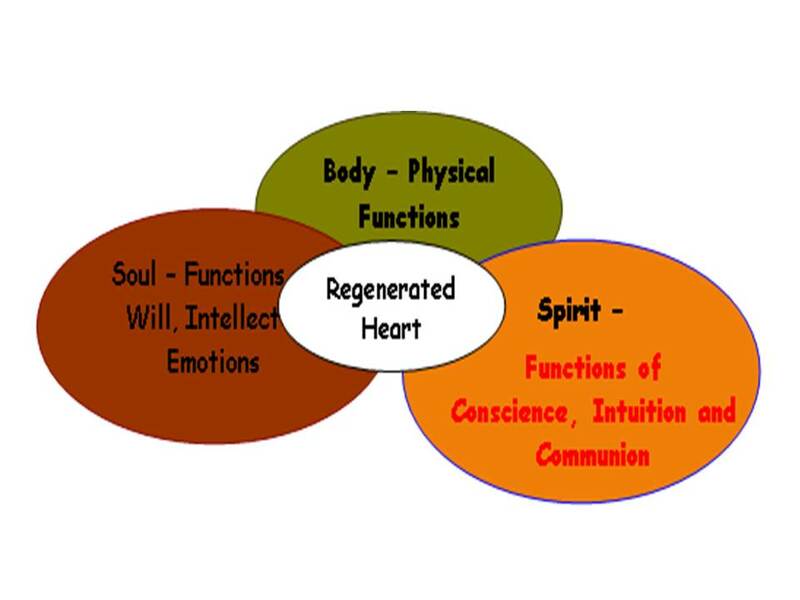 Then, at this point of being saved and having a regenerated heart, the soul [(Functions of Will, Intellect & Emotions) now being controlled by the spirit (Functions of a liberated conscience, intuition and communion with God ) that is in turn now also under the control of the Holy Spirit] SHOULD BE COMMITTED SOLELY TO OUR LORD AND SAVIOUR JESUS CHRIST AND ENABLED TO COMPREHEND THE SOLID BIBLICAL AND HISTORICAL FACTS THAT CHRISTIANITY IS BUILT ON. 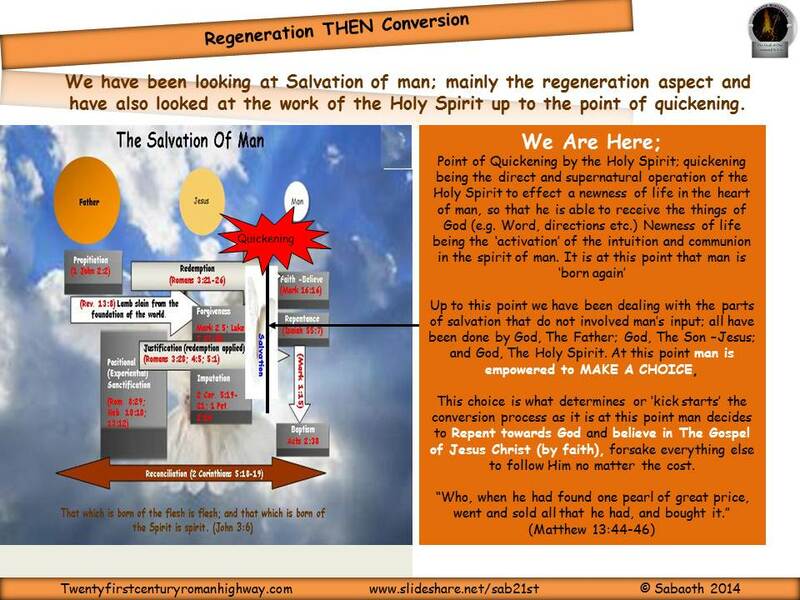 Regeneration means that one has been born again or born from above. Jesus answered and said unto him, Verily, verily, I say unto thee, Except a man be born again, he cannot see the kingdom of God. 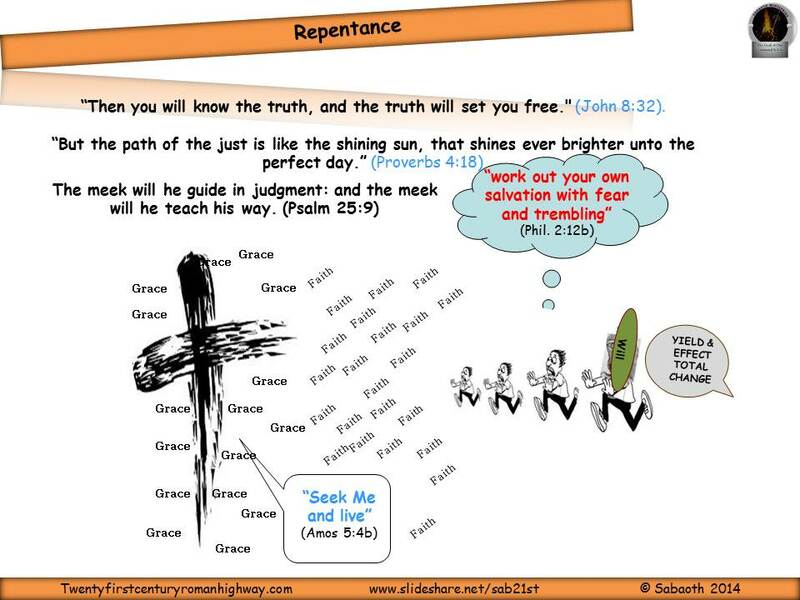 Hebrew: Nahum – to lament, to grieve. This word is describing the emotions that are aroused when motivated to take a different course of action. Shub – to turn back, return. 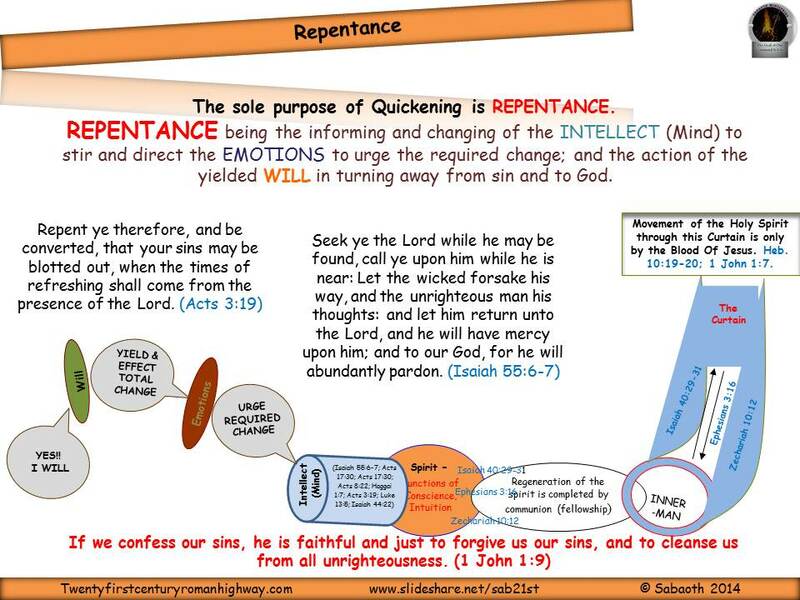 This word expresses a radical change of mind toward sin and implies a conscious moral separation from sin and a decision to forsake it and agree with God. 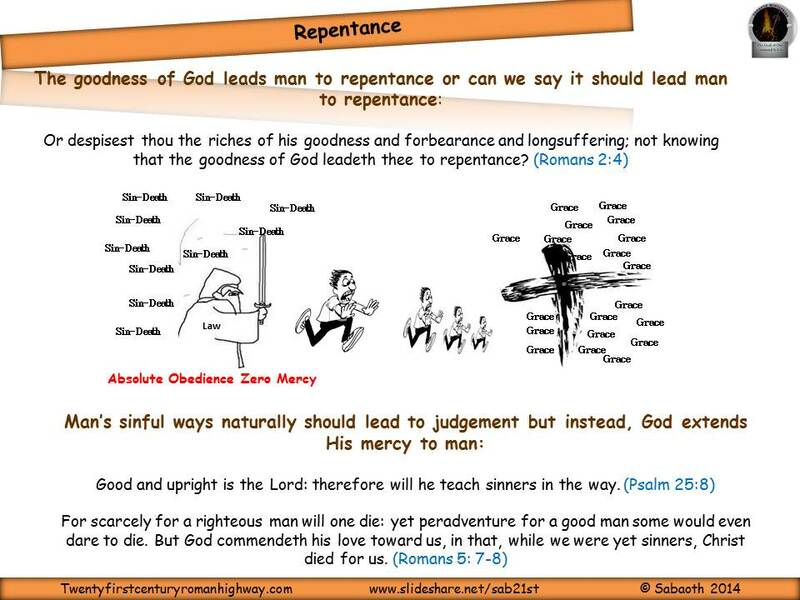 It is not repentance that leads to God’s Kindness but; it is God’s kindness that triggers repentance. Informing and Changing of the INTELLECT (Mind) – informing and changing of the way our thoughts, ideas, concepts, reasons, understanding, knowledge etc. are processed so that they are focused on God. 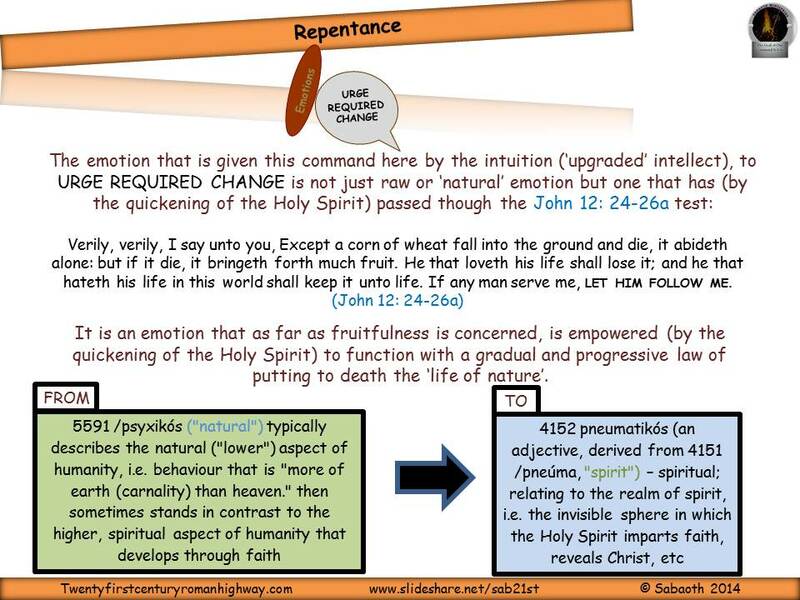 There needs to be an ‘upgrade’ facilitated by The Holy Spirit. 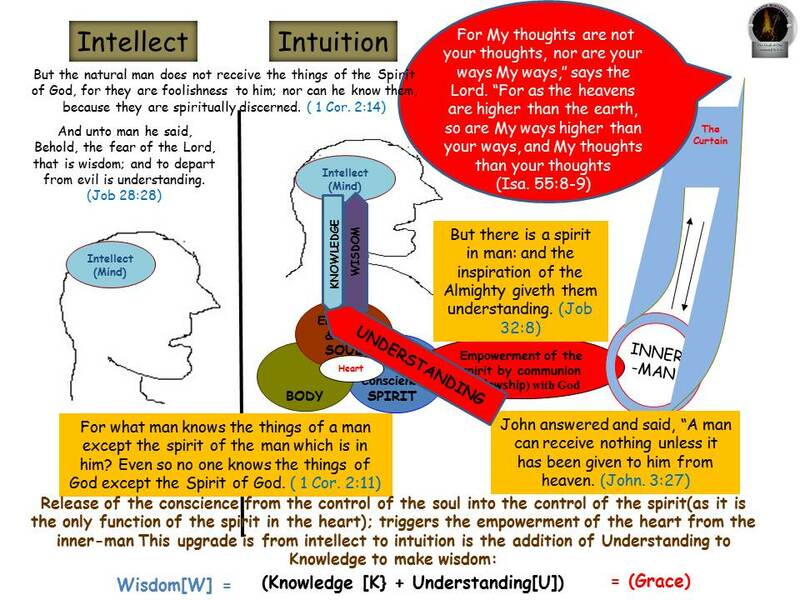 This ‘upgrade’ is what brings the intellect of man from its natural form to become the intuition. 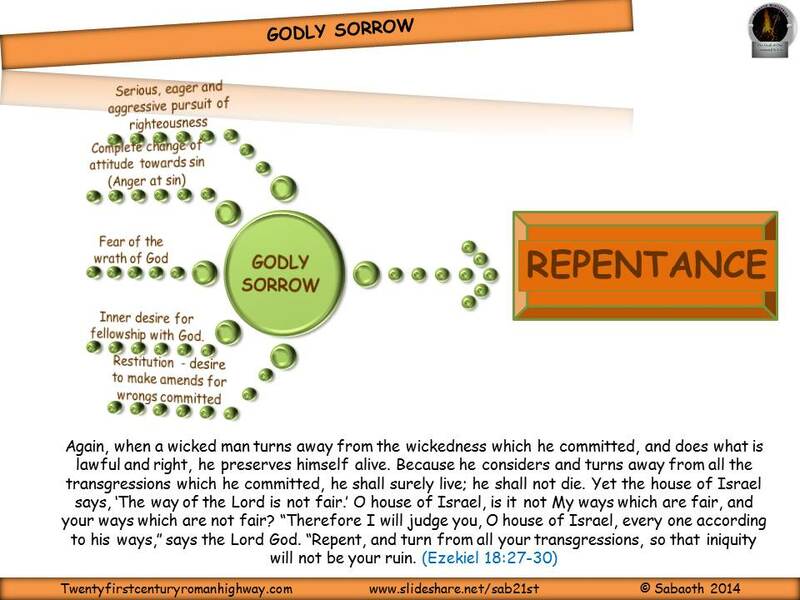 Unlike worldly sorrow, which comes from our ‘nature’ (canal being) and is a feeling triggered by knowing that one has been caught, and thus the need or attempts to cover up: which leads to guilt, mental distress, a temporary resolve to do better by dealing with the symptoms and ultimately death and eternal separation from God. O Ephraim, what shall I do unto thee? O Judah, what shall I do unto thee? for your goodness is as a morning cloud, and as the early dew it goeth away. (Hosea 6:4). You might say – “Why do I have to know and experience this Jesus you are going on about?” Here is why, when and how you can get to know Him. Admit your spiritual need. We all are sinners: nobody likes that title “SINNER”, but the bible says in Romans 3:23 that “all have sinned and fallen short of the glory of God”. 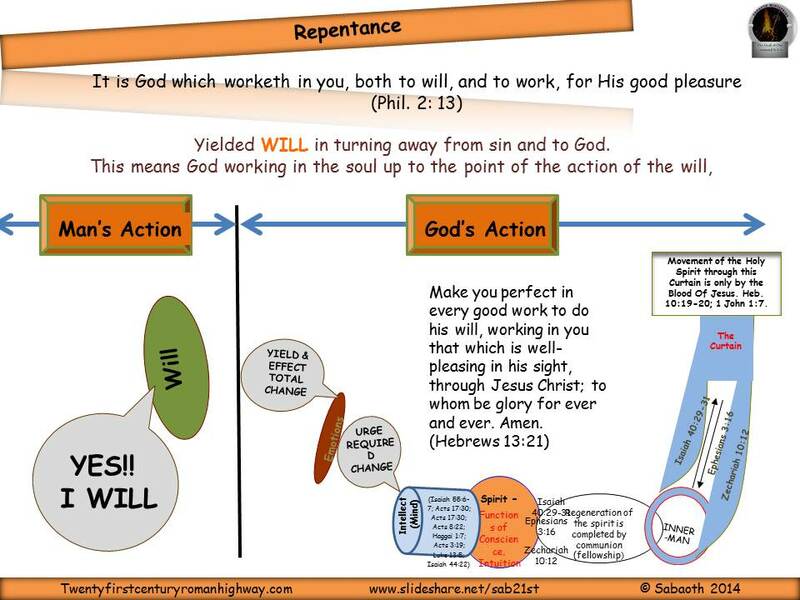 What is the result of sin? In Romans 6:23 we read “The wages of sin is death…” in other words, every sin is another step towards death. One thing that we need to remember is that God never sends anyone to hell; one can send himself there by rejecting the truth. Since we can never measure up to God’s standards by our own strength; God has reached out to mankind. In Romans 5:8 we read, “God demonstrates His own love towards us, in that while we were yet sinners, Christ died for us”. It is Jesus, after all, who is the source of life’s greatest high. “For God so loved the world that He gave His only begotten Son, that whoever believes in Him should not perish but have everlasting life. 17 For God did not send His Son into the world to condemn the world, but that the world through Him might be saved.” (John 3:16-17). What must a person do to accept this gift? Simply receive it! Matthew 11:28 states –“come to me, all you who labour and are heavy laden and I will give you rest. Take my yoke upon you and learn from me…for my yoke is easy and my burden is light”. Revelation 3:20 says, “Behold I stand at the door and knock. If anyone hears my voice and opens the door, I will come in to him and dine with him, and he with me” Jesus stands at the door of your heart and knocks, seeking entrance into your life to give you peace, change you for the best. John 1:12 says: “For as many as received Him, to them He gave the right to become the children of God”. 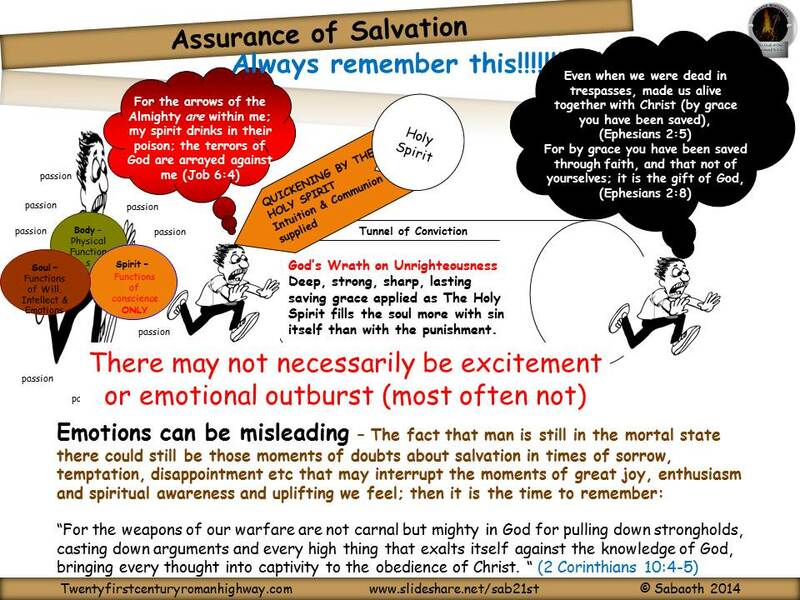 If you haven’t already received Christ as your Saviour, don’t put it off another day! Take time right now to reflect on the state of your life, how does Romans 3:23 apply to you? Ask God to empower you to see the true state of your heart – “The heart of man is deceitful above all things and desperately wicked; who can know it?” (Jeremiah 17:9) then when enabled, invite Jesus into your life. Confess your sins. Receive His forgiveness and the gift of eternal life.